Here’s your opportunity to get advance V.I.P. Tickets and/or support UPside Dance Company as we prepare for the premier of our 2019 show! With 'Family Album', UPside will be exploring family dynamics and definitions as our overarching themes. There will be dance, live music and laughs. Think awkward family photos, weird sweaters, shoulder pads, high bangs, and sequin outfits... along with other elements of a more serious nature. Each dance piece will highlight a different relationship, family history, definition, or awkward hilarious family story re-invented in a fun quirky heart-full inspired way....UPside Style! 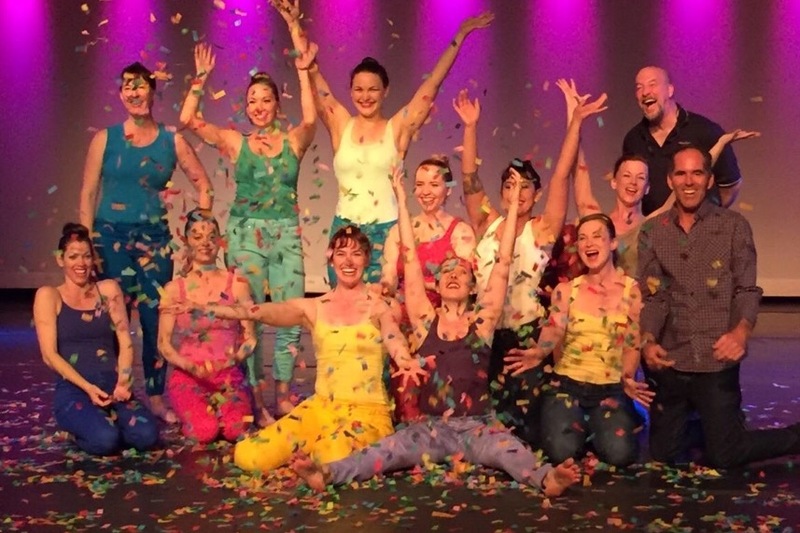 Please consider being one of our sponsors and helping our not-for-profit dance company foot the bill for theater rental, theater technicians, promotional materials, costumes and all the effort we put into our shows. We appreciate anything you can give but there are perks for donating more! Donate $50 or more- we will recognize your generosity by thanking you in our program. Donate $500 or more- you get 6 tickets in our V.I.P. seating area & unlimited drink tickets! Thank you so much to all of you who have committed to making this show happen with your monetary assistance. I will soon be posting a link to buy tickets for general admission. Please help us reach our goal by donating or sharing this GoFundMe page!